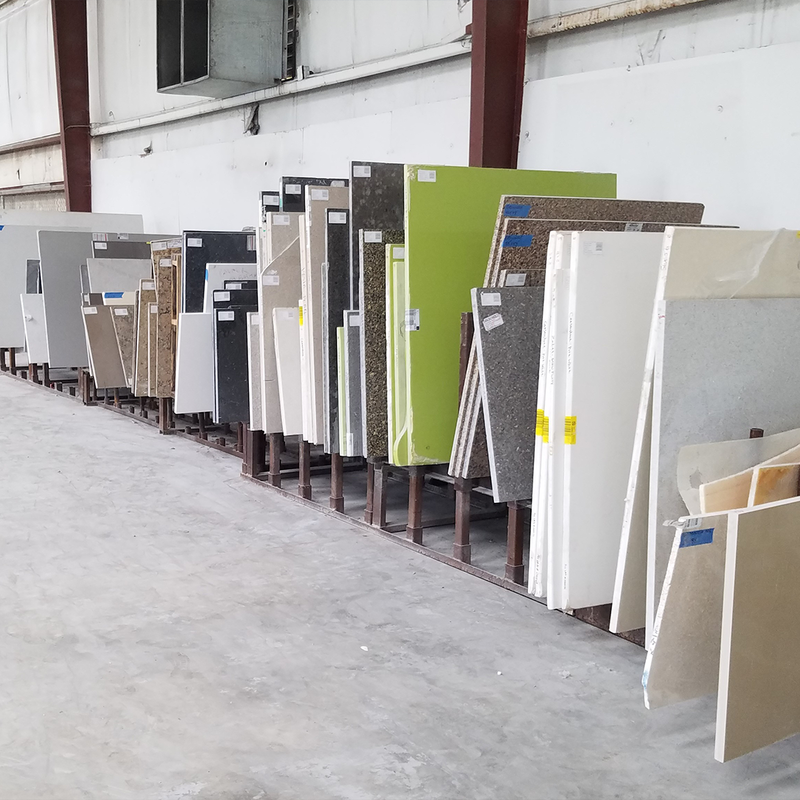 If you are looking for great prices on granite in Orlando and only need a small amount of material, ADP’s remnant selection may be a great option for you to consider. Our granite remnants are left over pieces of the high-quality material from the completion of a large countertop job. We have several display areas of remnants for you to look through, with dozens of materials to suit your needs. 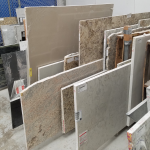 Remnants are not limited to granite and can include quartz, marble, onyx and Corian materials depending on what we have in stock. In many cases when we cut new countertops, we have to splice two pieces of granite together to match the grain just right, which sometimes leaves us with large remnant material left over. Since we are becoming overstocked with these remnants, we can offer them to you at a lower price. Most remnants are large enough for a single countertop surface such as a bathroom vanity countertop or a kitchen island countertop. 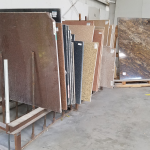 These are a great way to get a beautiful premium granite, quartz or even marble material at just a fraction of the usual cost. 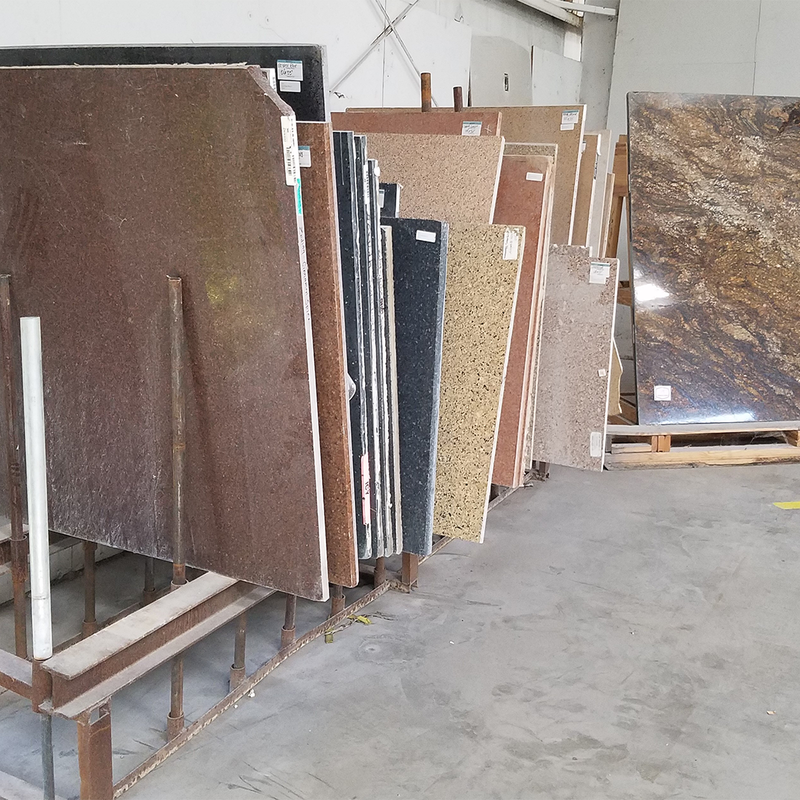 Our granite remnants are constantly changing, and the only way to keep up with what we have in stock is to bring in the dimensions of the project you are working on and visit our facility in Orlando. 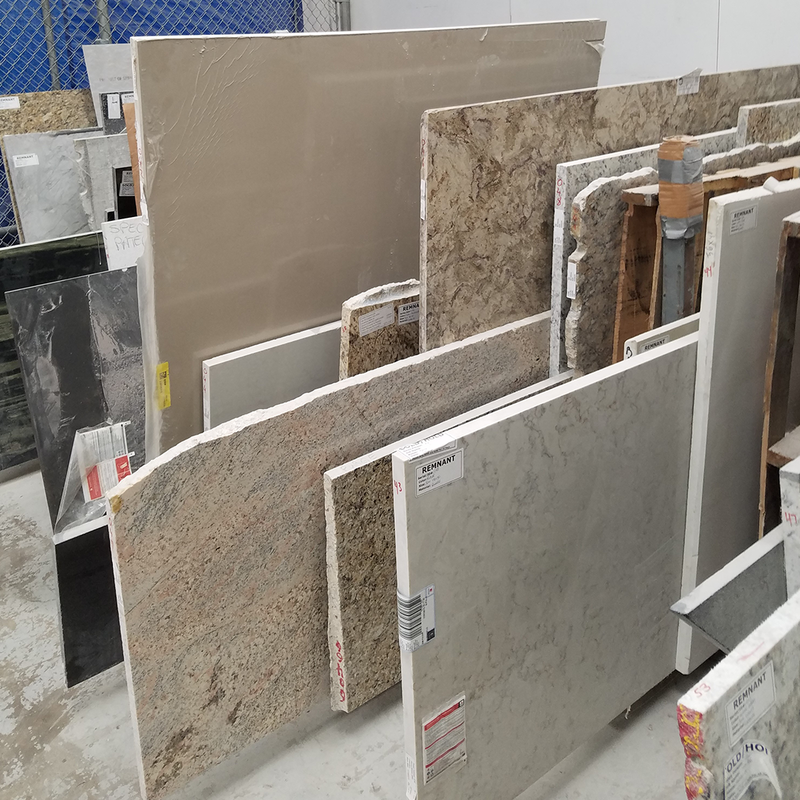 Once you have selected the material that is right for your job, we can schedule for templating and fabrication of your countertop. To set up an appointment to view our granite remnants, please contact us today! If you are looking for more information about granite materials, please visit our granite countertops page. Set Up An Appointment to View Our In Stock Granite Remnants! Appointments Available on Wednesdays from 9:00am – 3:00pm. Contact us to set up an appointment or call 407-299-9394! 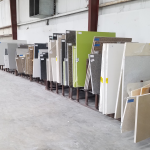 Looking for new granite countertops in Orlando, Florida? Click the link below to see our selection of granite countertops. We have hundreds of granite countertops in stock! Click the picture above to view our most popular selections!